AND GLOW IN THE DARK PARTIES!!!! Hi. My name is Stephanie Tyrell and I am the owner and artist of Masking Faces. Welcome to my site. I have been very busy putting smiles on people's faces, young and old, through face painting since 2013. 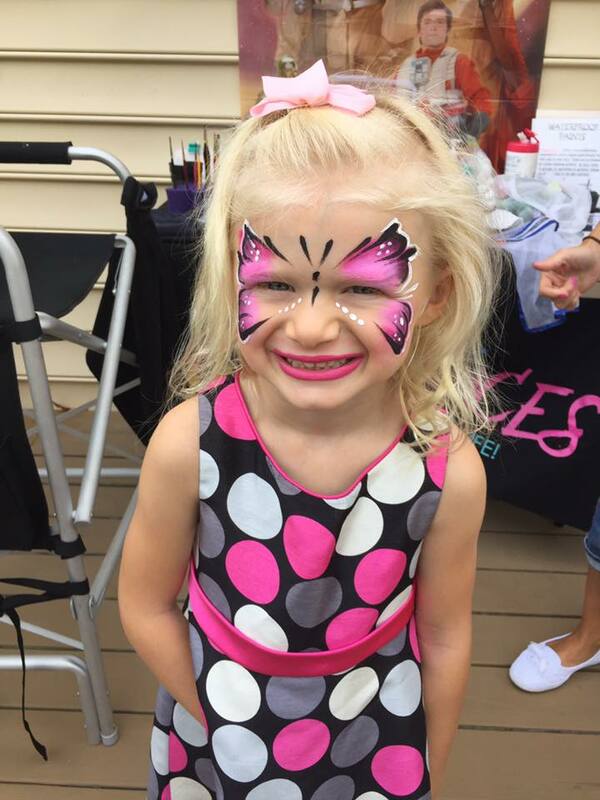 Through my face painting, I make it a priority to make sure your experience is nothing short of kind, professional, courteous, and delightful, all while bringing your child's imaginations to life!!!! My Painting Experience: I was fortunate enough to attend the annual International Face and Body Art Convention in Florida twice, as well as the East Coast Face and Body Convention in Connecticut. At both places, I had the opportunity to take many classes from some of the most world renowned face painters across the globe such as Mark Reid, Ronnie Mena, Nick Wolfe, Jocelyn Casdorph, and many many more. To continue to enhance my skills, I also attend a face and body art guild in New Jersey where those fine artists come to share their talents. I love making kids smile, and through face painting came my chance to do just that. I love painting anything I can get my hands on really. It just makes me happy!!! Please contact me to find out more details about my services. Thank you for your interest in Masking Faces. I hope to be a part of your next special event real soon!!! !